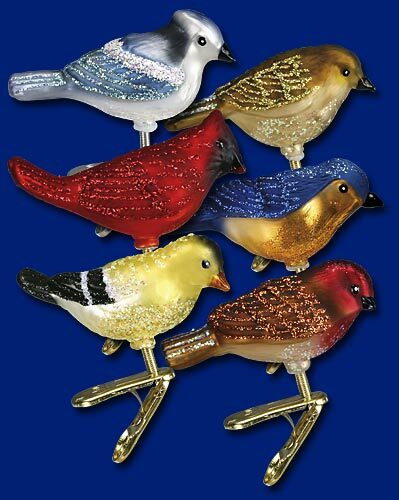 Home > Old World Christmas - Traditional Glass Christmas Ornaments > Old World Christmas Glass Ornament - "Mini Songbirds"
Please note there are six different ornaments. Each ornament is sold separately. Please specify any preference in the comment section, otherwise we will choose for you.